* Captain Kelly McMahill with the Las Vegas Metropolitan Police Department, a Pioneer in creating and implementing Groundbreaking Reforms related to the use of Deadly Force by Officers that are now counted as Best Practices around the Country. * Desiree Reed-Francois, Director of Athletics at UNLV, the first Hispanic Female and Woman of Color Athletics Director at the Football Bowl Subdivision level, who has ushered in a Cultural Sea Change resulting in the Highest Cumulative GPA among Student Athletes in the History of UNLV. * Tina Quigley, General Manager of the Regional Transportation Commission of Southern Nevada, who for Decades has overseen the Planning and Construction of Transportation Projects that have turned Las Vegas into an Efficient and Commutable City for Millions of Residents and Tourists. * Renee West, the first Woman to hold the Title of President and Chief Operating Officer on the Las Vegas Strip, who during her Time as a Leader with MGM Resorts International was responsible for every Operational Aspect of Major Resorts including Mandalay Bay, Excalibur, Luxor, and more. 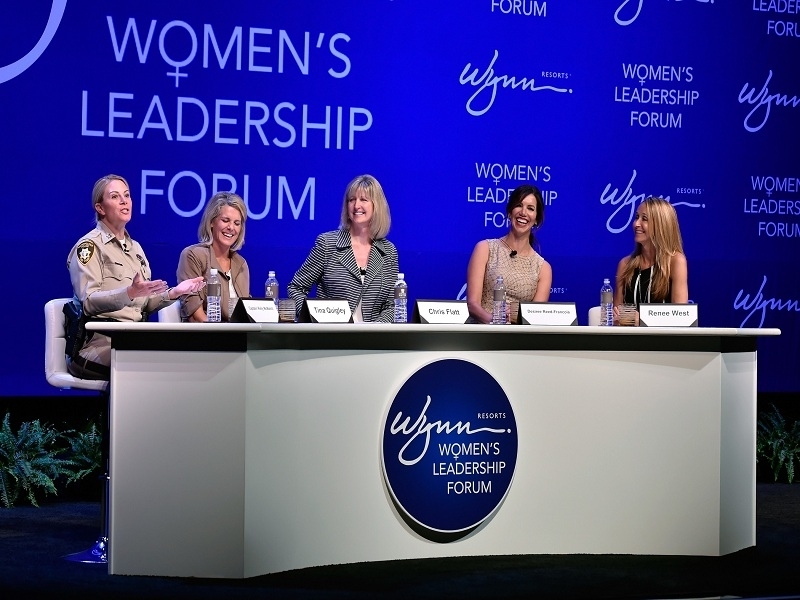 The Wynn Resorts Women's Leadership Forum was introduced in May 2018 to support an Open Dialogue amongst Employees, discuss Solutions that help close the Gender Gap in Management, and provide Career Guidance for Female Employees at all Levels. 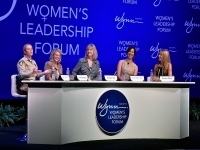 The Theme of "Women Who Thrive" will continue with the Next Forum Installment taking place later this Year.